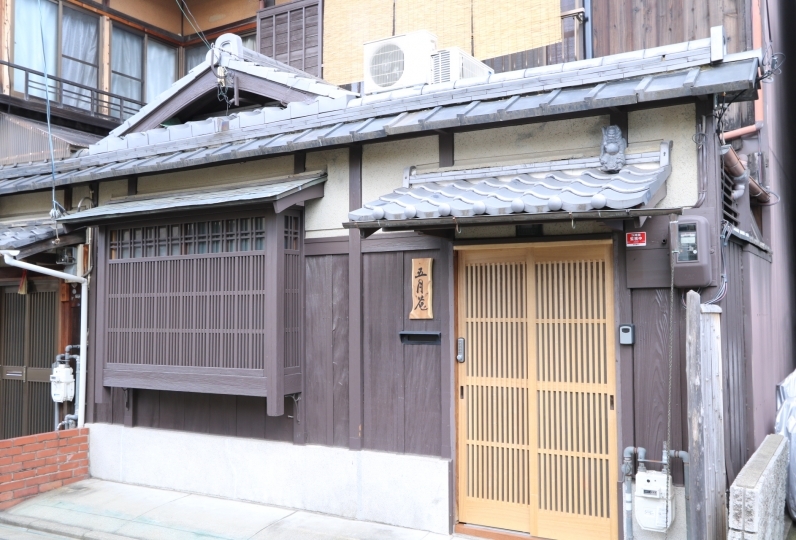 It is a small Kyoto town house in the Kyoto like alley where the Nijojo castle is standing right in front, and is also located at 10 minutes walk to the imperial palace. 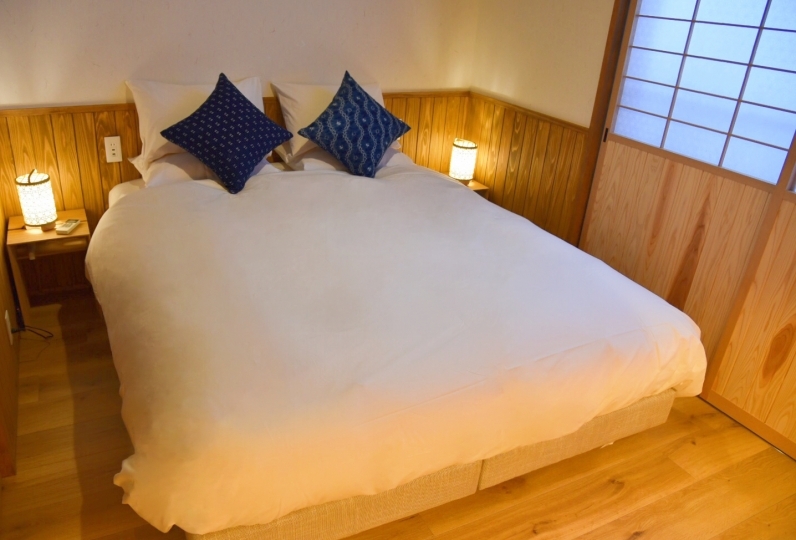 It is suited for stays of 3-5 people, where there are 2 semi double beds/1 single bed/ and 2 sets of extra futons. 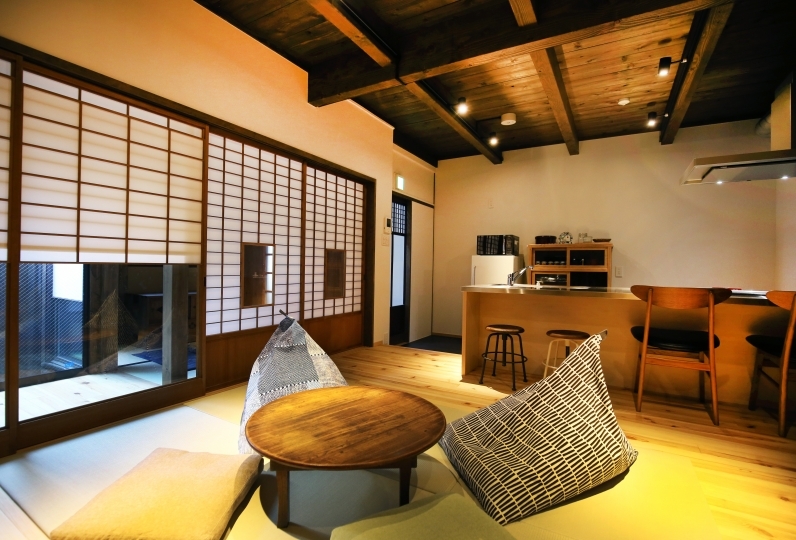 The hotel is fully renovated and you may enjoy tradition such as with the horigotatsu (table with foot heater) and the Hinoki aroma of the bath, yet also relish the comfort. 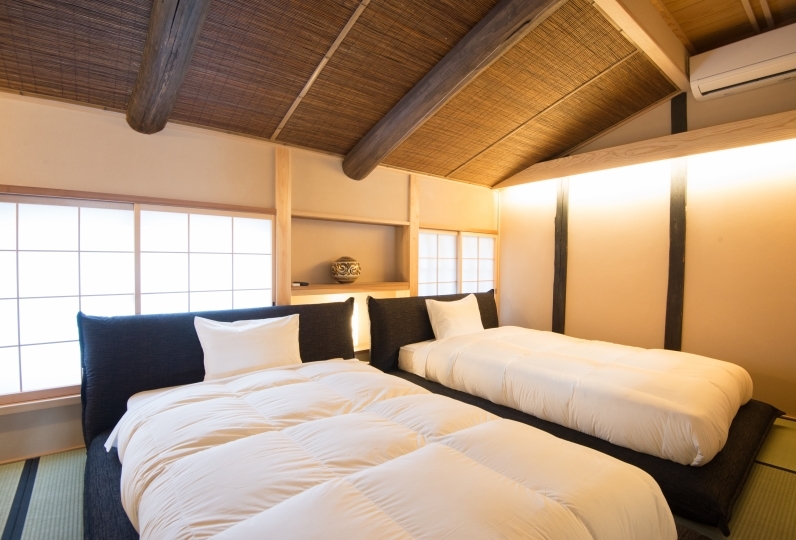 Moreover, first time in a Japanese guest house, hormesis used in the walls of the bedroom. ※What happens when you use hormesis? With the small amount of radon, the cells are stimulated and the metabolism rate goes up and increases immune strength and self healing. 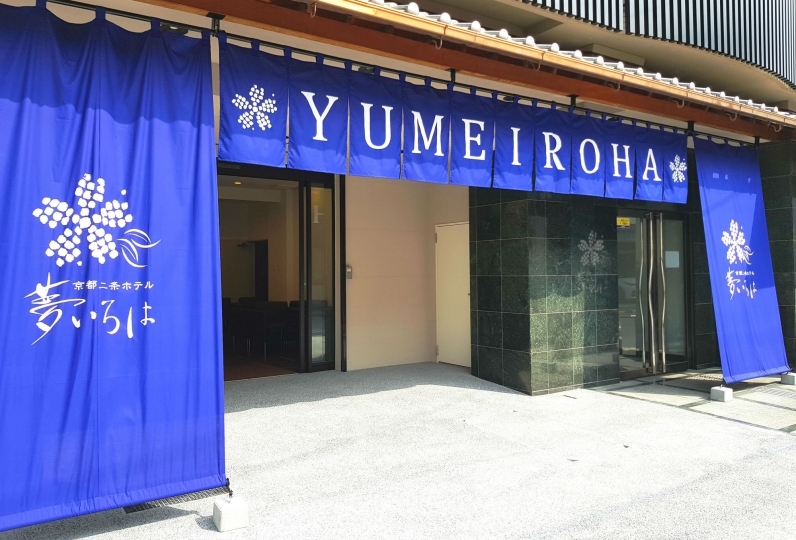 You will attain the same effect as the Tamagawa Onsen where people gather to heal by hot spring, and as the Misasa Onsen where the residents around the area have half the amount of average cancer death rate. Examples of effect:cancer, diabetes, skin disease, etc. As for examples other than Japan, the cave bedrock bath of Bad Gastein of Austria is accepted as the insurance coverage treatment and many visit to recuperate. And Airweave is used for mattresses!A luxurious trip is supported with luxurious sleep. 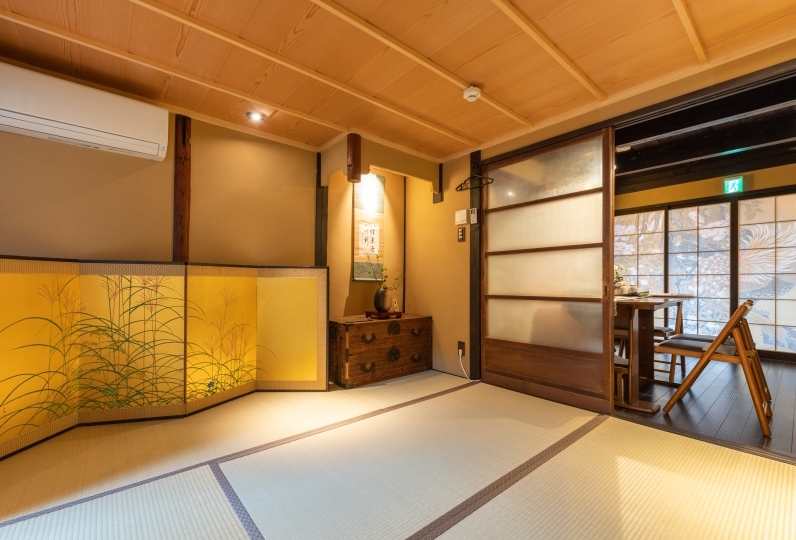 There is indoor heating fully facilitated in the bathroom and is a Hinoki bath. You may view the garden from the bath tub. 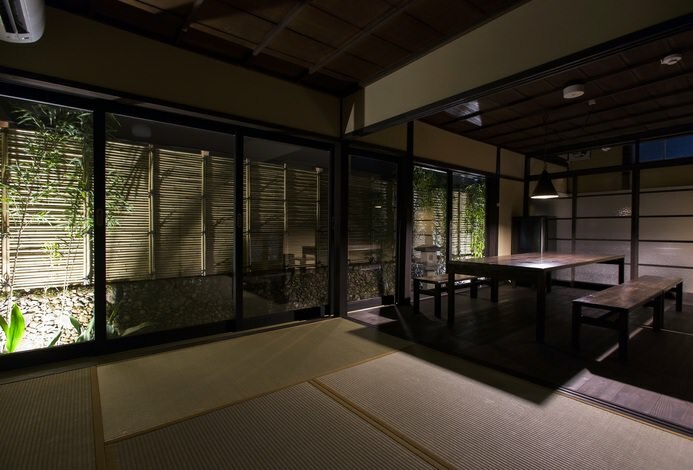 You may relax enveloped by the aroma of Hinoki. 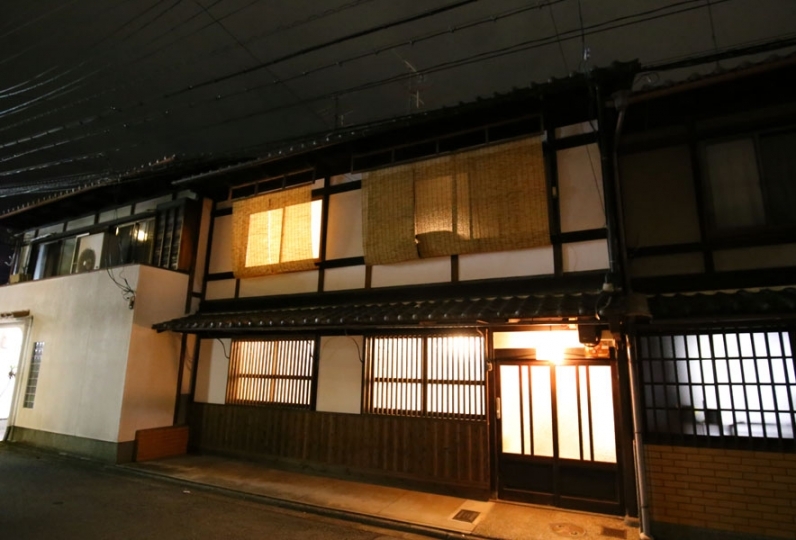 It is a whole rented cozy Kyoto town house standing in the alley of stone pavement which is very Kyoto like. A kitchen and a washing machine are facilitated and you may enjoy a single night stay or long stays. It is 3 minutes walk to the bus stop, supermarket and convenience store, and 10 minutes walk to the Nijojo-mae station of the subway, all making the hotel a great location. 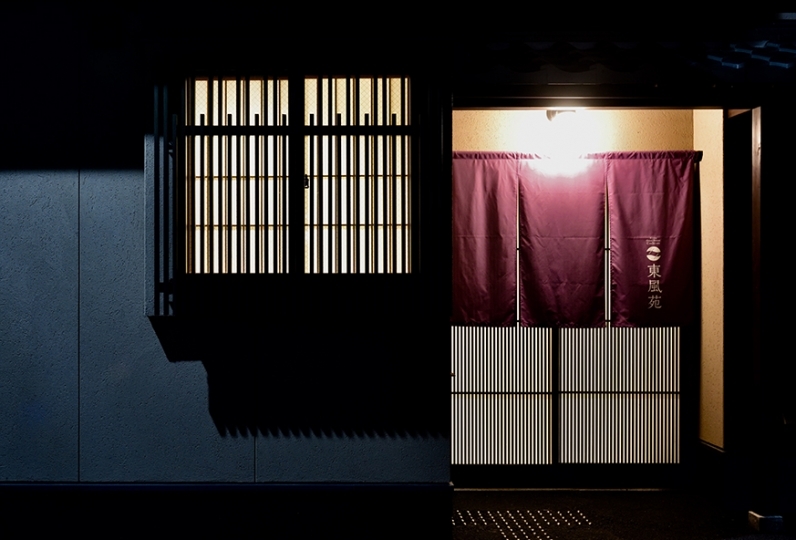 You may experience a cozy Kyoto life near the Nijojo castle. 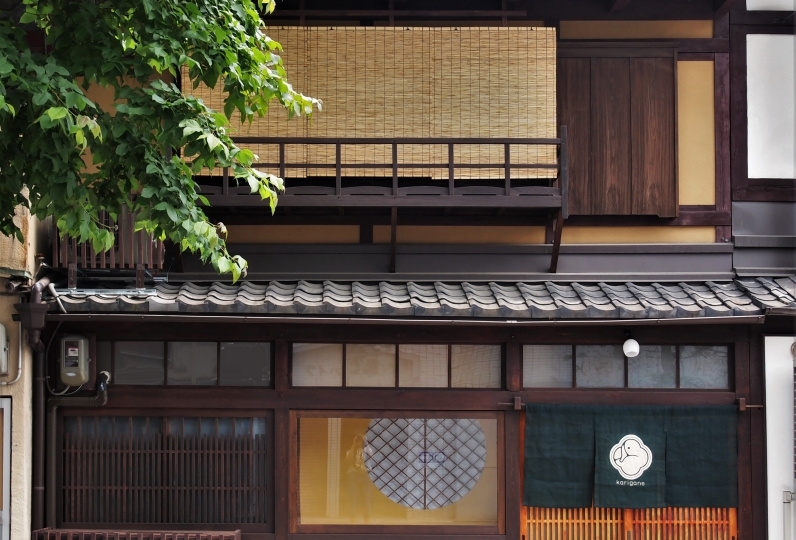 From October 1st, 2018, all of the hotels in Kyoto city will apply additional accommodation tax. The accommodation tax will be asked to be paid in cash during check-in. 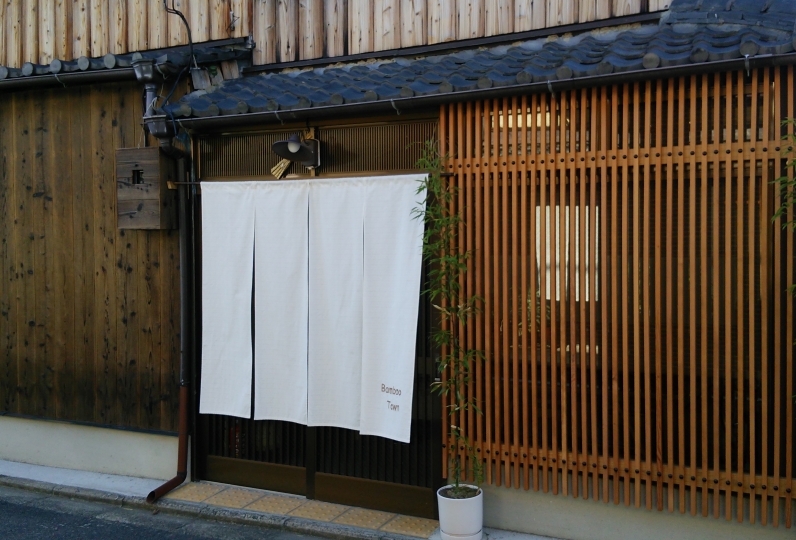 For details please refer to  the booking confirmation mail from Kyoto Tachibanaya. ・This facility has a button lock at the entrance and will require a password. ・There is no staff permanently stationed at this facility. Staff will welcome you at the actual place at the time you have informed. ・An additional fee may be charged for last minute change of your arrival time as it may cause an extra transportation fee for the staff to get there. 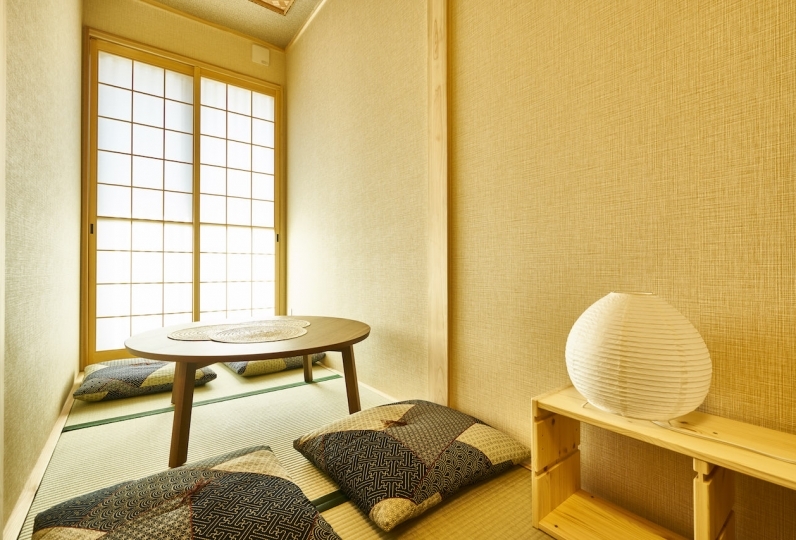 ・For bookings of 7 people, please contact the Relux concierge desk.